Explanation: The care package from Earth had arrived. 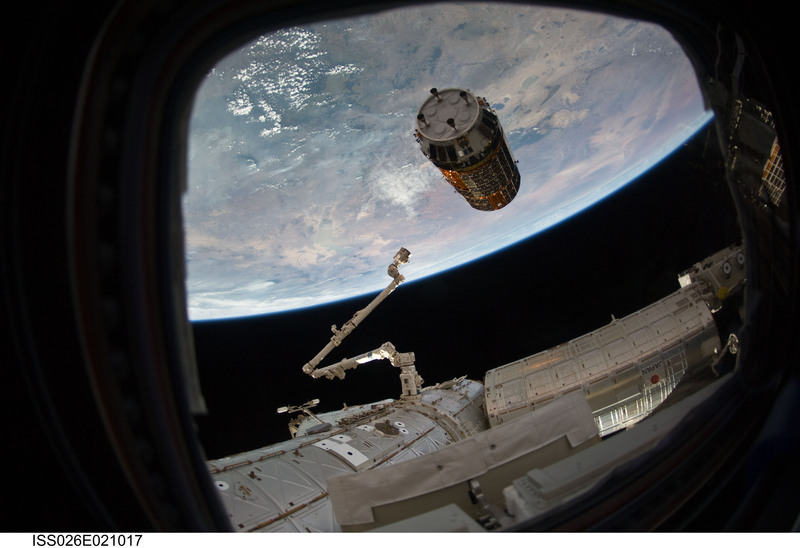 Last week, Japan launched the robotic Kounotori2 spacecraft to bring needed supplies, including food, to the International Space Station (ISS). Kountori2 launched from Japan's Tanegashima Space Center a little over a week ago reached the ISS in low Earth late last week. 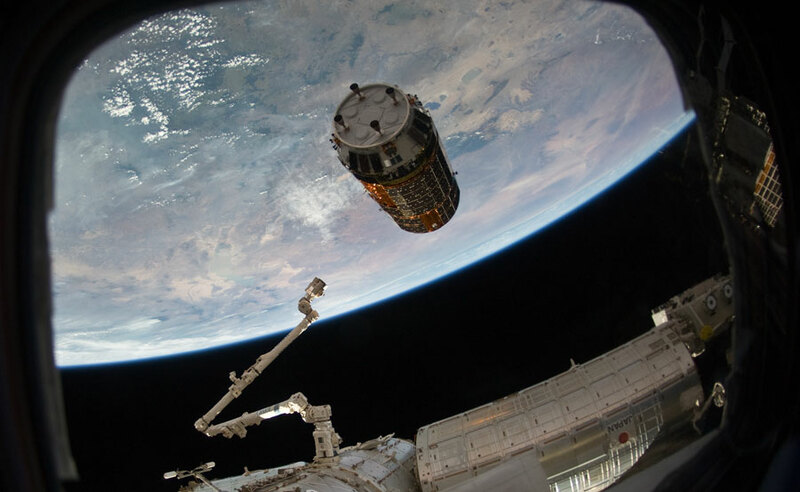 Pictured above, Kountori2 approached the ISS and was about to be grabbed by astronauts with the Canadarm2 and attached to the Harmony Module. In the above picture as seen through a window on the ISS, the limb of the Earth is visible, including white clouds, blue water, and various tan colored landforms. In addition to launches including humans, as many as ten robotic spacecraft may be launched to the space station this year, potentially including spacecraft from Russia, Europe, Japan, and a private company in the USA. Quiz: Can you identify which part of Earth is pictured?